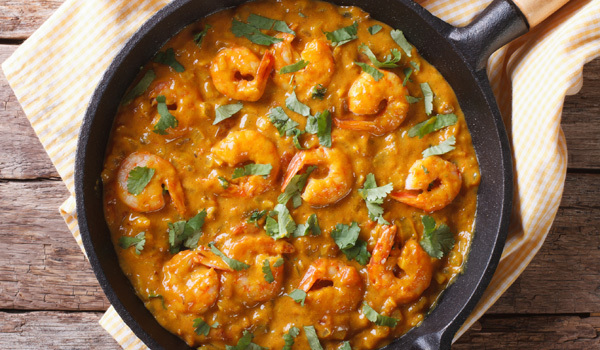 For too long, Indian food in the United States was strictly seen as the province of casual neighborhood restaurants, ideal for take-out or a price-conscious buffet lunch. But, thanks in part to a new generation of chefs who are approaching the flavours of the Subcontinent with fine-dining finesse, there have never been more opportunities to enjoy gourmet Indian cooking in America. Take these three Michelin starred Indian restaurants (plus one James Beard award-winner), where traditional ingredients and preparations meet contemporary techniques. From tasting menus to sommelier-selected wine pairings, this is Indian cuisine at its best. For casual diners, a thali provides the perfect opportunity to sample a wide range of Indian flavours. But for diners heading to Michelin starred Indian restaurants, a tasting menu might be more in order. 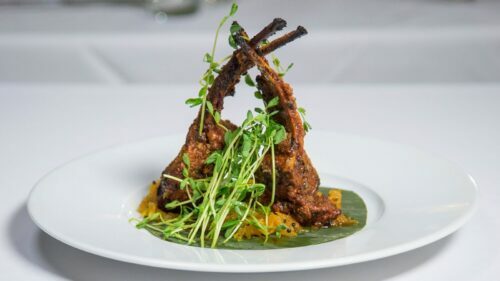 The tasting menu at Junoon comprises six courses (one optional), and skirts across the Subcontinent and beyond – dishes range from spicy tandoori langoustines to braised lamb korma with apricot gelée. The opulently decorated restaurant, located in the Flatiron District and ornamented with sculptures, stone carvings, and fountains, is a superlative example of contemporary Indian hospitality. Head 20-odd blocks north from Junoon, and you’ll encounter the second of New York’s Michelin starred Indian restaurants: the lively and exuberant Tulsi, which has been guided by the Goa-born Executive Chef Eric McCarthy for the past several years. 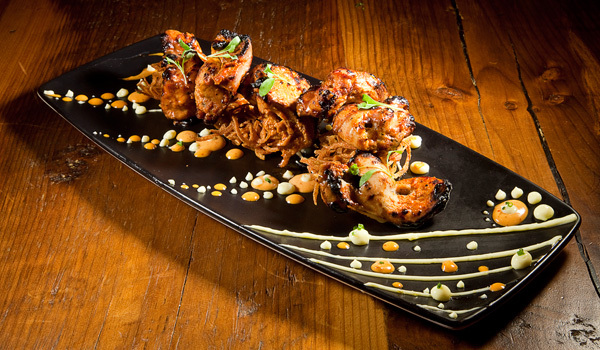 Some dishes on the extensive à la carte menu, including vinegar-rich and chilli-spiced shrimp balchao, play on McCarthy’s Goan heritage. Others express globetrotting credentials, including shiitake, button and Portobello mushrooms served with coconut and chilli and a dessert of green pumpkin and cardamom. With a focus on the coastal cuisine of South India, vibrant Rasa quickly distinguished itself as one of San Francisco’s essential Indian eateries when it opened in 2014 (the fact that it was recently bestowed with its first Michelin star certainly doesn’t dampen diner enthusiasm, either). Unsurprisingly, seafood is one of the menu’s main focuses, and spans from seared scallops and chutney prawns to black + white calamari and black cod served roasted in a banana leaf. Unusually for a restaurant of its calibre, Rasa even offers a take-away menu, should you fancy enjoying Michelin-starred fare from the comfort of your own sofa. Rasika might not technically have a Michelin star, as only restaurants in Chicago, New York, and the San Francisco Bay Area are eligible in the US. And yet, this DC-based stunner is, without question, one of the finest Indian restaurants in the United States. 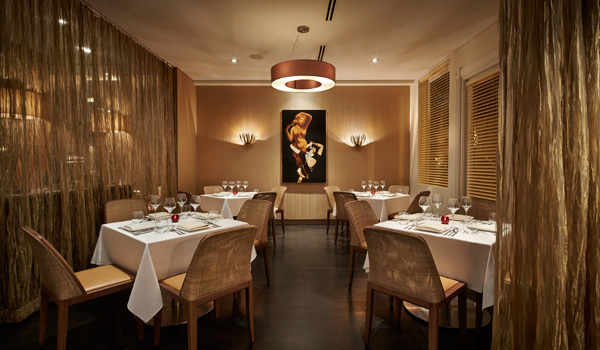 Devotees flock here for the restaurant’s warm hospitality, as well as its truly exceptional wine list. Chef Vikram Sunderam was also a 2014 James Beard Award winner, and it shows in his food (especially in the palak chaat, a dish of crisp, fried spinach, which is far and away the restaurant’s most popular plate). If you’re looking to truly indulge, book the six-course tasting menu at the chef’s table (with a wine pairing, naturally).